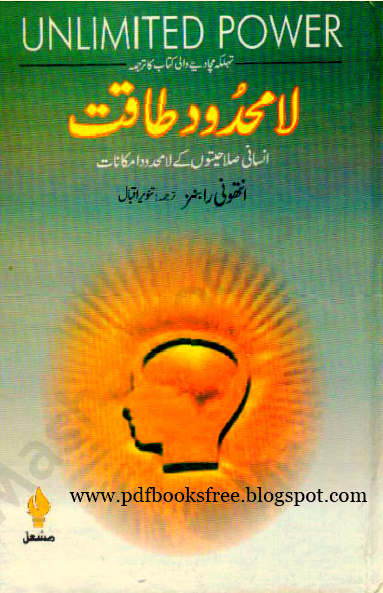 Title name of the book is “Lamehdood Taqat” Urdu translation of Unlimited Power, the world most famous book which was written by Anthony Robbins. and translated into Urdu by Tanveer Iqbal. This book is containing the way to peak personal achievements and the ability to define human needs and fulfill them both your needs and the needs of the people you care about. Download in pdf format to read offline. Lamehdood taqat Urdu main download Nahi kar pa raha hoon .is ka download link kam nahi kar raha hai .plz is ko downlading .ke qabil banaye meharbani hoogi.